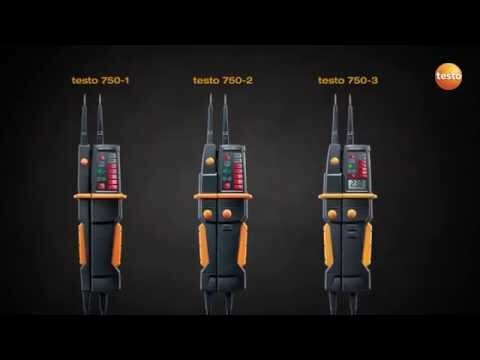 The testo 750-2 voltage tester means you can work more conveniently than ever before. 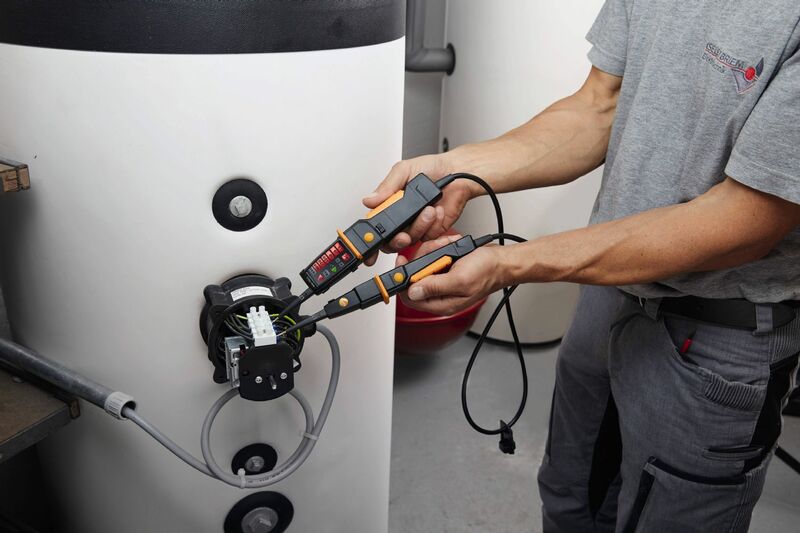 Its clear, patented all-round LED display can easily be read in any position and indicates the presence of voltage clearly and distinctly with large fibre-optic illuminators. 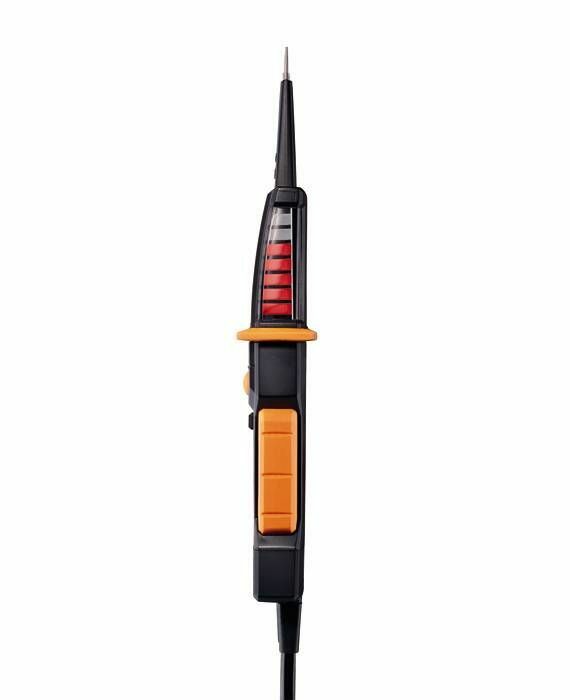 It can be held securely in your hand thanks to the deep-seated anti-slip ring and the ergonomic handle. 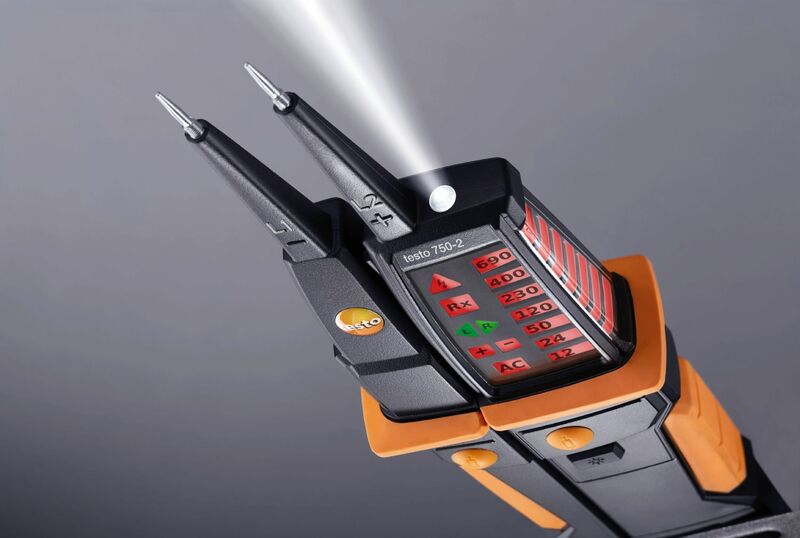 You can easily illuminate dark measuring points using the integrated torch. 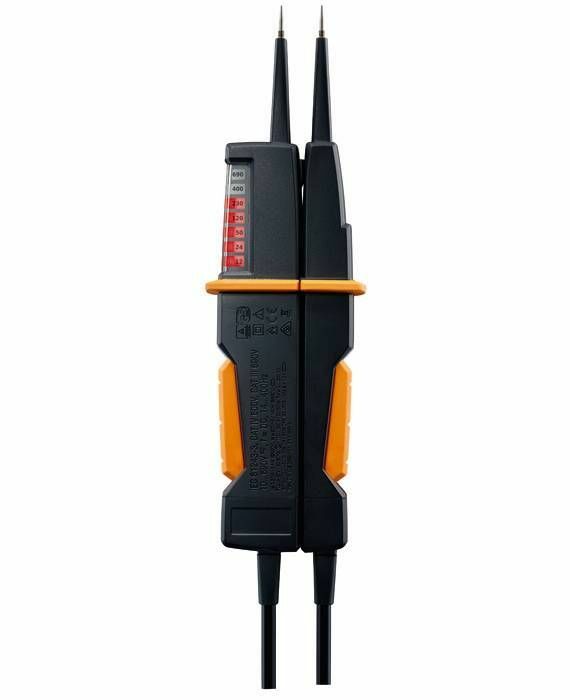 The robust housing makes the voltage tester extremely durable. 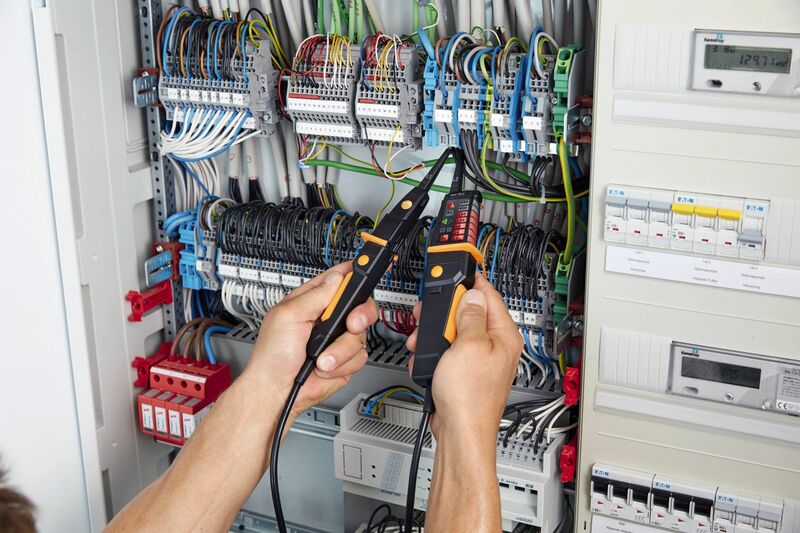 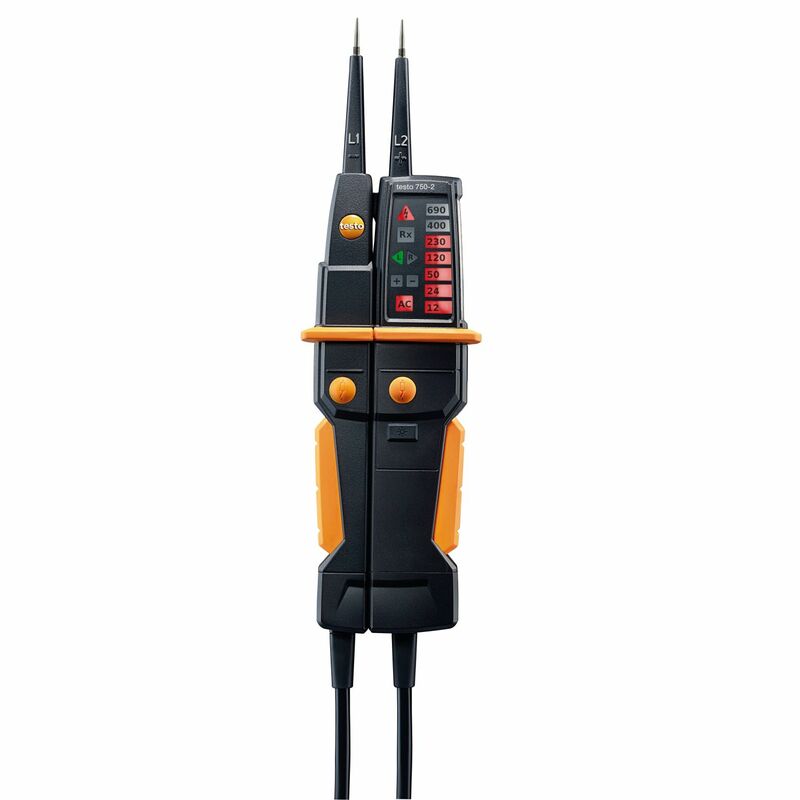 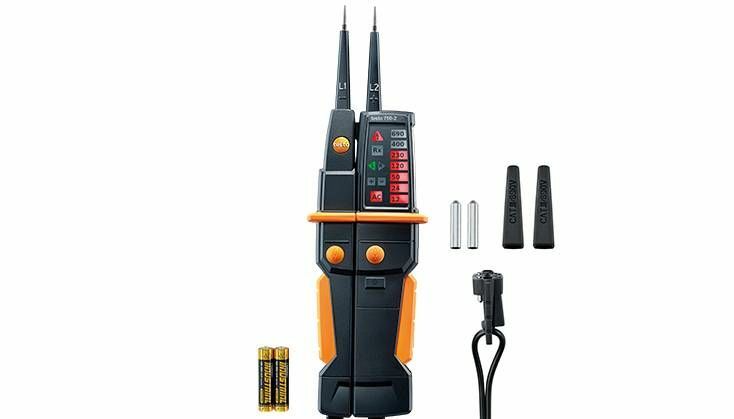 In addition to determining voltage or de-energization on electrical circuits or systems, the testo 750-2 voltage tester is also suitable for use as a continuity tester and for rotating magnetic field measurement. 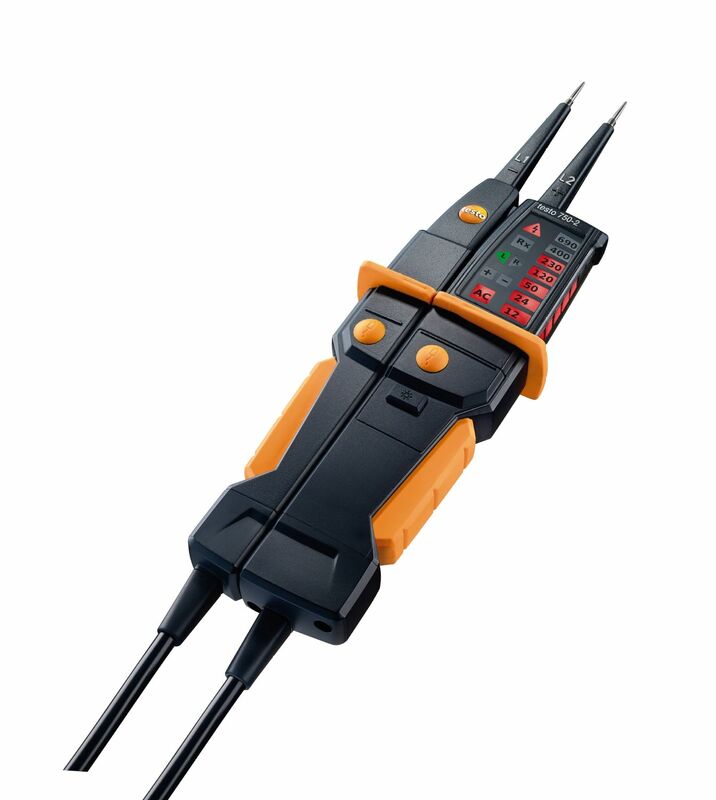 It also has an RC trigger function for testing residual current circuit breakers. 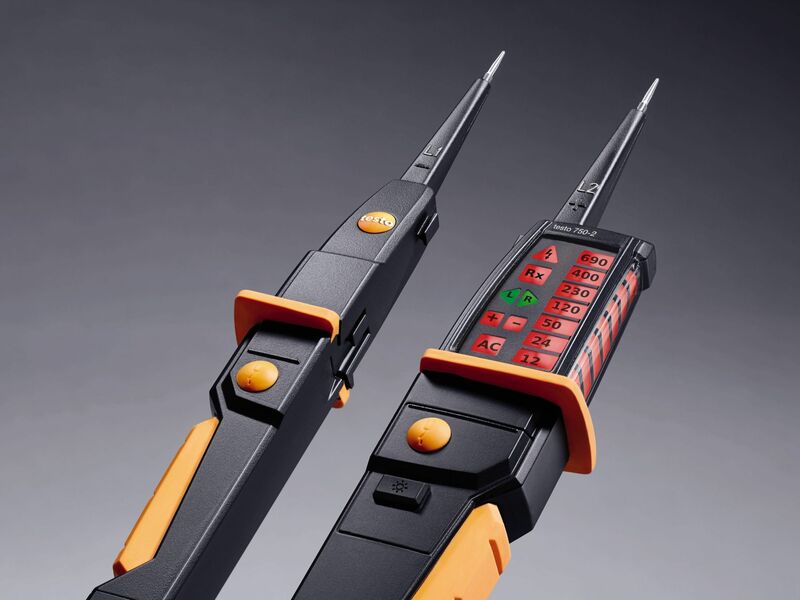 Vibrating load buttons ensure that trigger tests cannot be carried out accidentally. 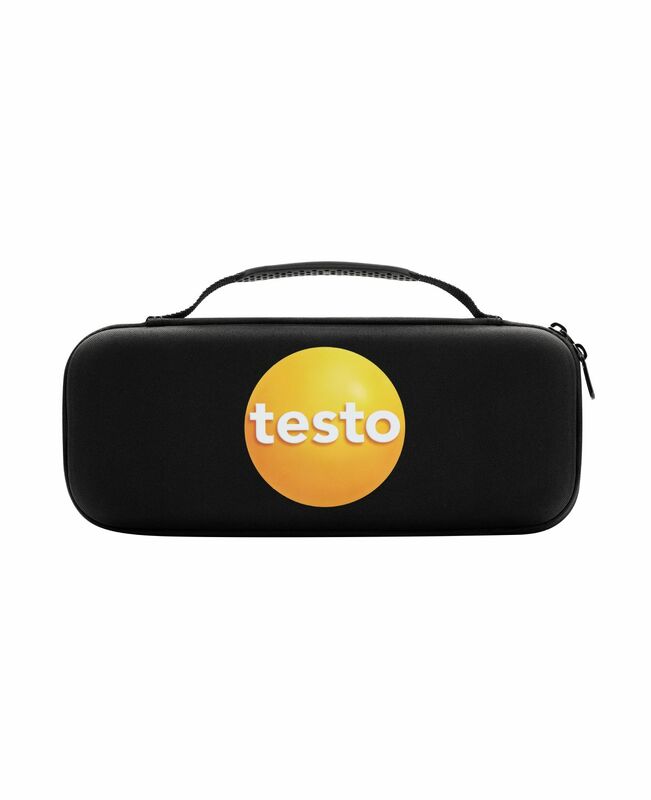 testo 750-2 voltage tester, including batteries, measuring tip protector, measuring tip caps, calibration protocol and instruction manual.